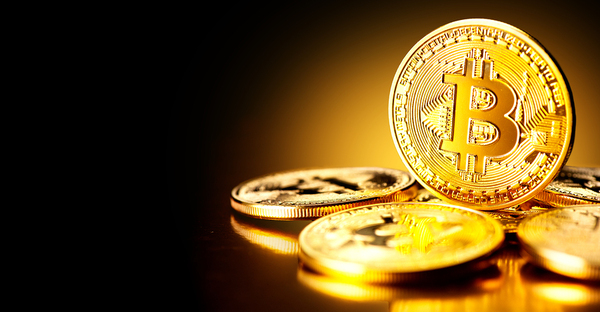 Bitcoin is the near-eponymous online currency. It is cash, digital money that’s spendable and swappable like any dollar in your pocket. So what the heck is Bitcoin Cash? Bitcoin Cash is an independent cryptocurrency based on Bitcoin’s code. Don’t get confused. While the two currencies share a name and a history, each is its own thing. Since it was created, Bitcoin has had a bit of a transaction time problem. In order to keep better control over its network, the Bitcoin project limits the size of each block in the chain to one megabyte. This was done to reduce the chances of a DDoS attack; hypothetically a bad actor could cram information into overlarge blocks, bogging down the entire network as nodes pull more and more data from each large ledger. The cap means that any given node only has to unpack at most one megabyte’s worth of data per block. However, a smaller block size also means more blocks on the chain. As Bitcoin became more popular, that became a problem. More transactions mean more data, which filled blocks more quickly, which led to more blocks on the chain. That, in turn, led to longer processing times. It’s a problem which still plagues the currency today. Compared with traditional payment models such as the Visa or MasterCard networks, which can handle tens of thousands of transactions per second, Bitcoin’s network can handle approximately seven. It can take anywhere from 10 minutes to a week to move a Bitcoin from one wallet to another. So that’s a problem. It’s frustrating enough to wait a few seconds while the credit card machine confirms your purchase. Ten minutes would be a huge hassle. A currency that takes days to change hands… that's just not spendable money. This currency branched off of Bitcoin. It’s based on the same underlying technology with a single major change: the block size is eight megabytes instead of Bitcoin’s meager one. As a result, the blockchain of Bitcoin Cash has fewer, but larger blocks making up its blockchain database. This speeds up transaction times, allowing the Bitcoin Cash network to handle about 60 transactions per second. It’s not quite Visa, but it’s a substantial step up. For all intents and purposes, there’s really just the one difference. Bitcoin Cash has a block size of eight megabytes while Bitcoin has one. As a result, Bitcoin Cash has a less congested blockchain. With the larger blocks, nodes have to confirm fewer individual ledgers as part of any transaction. This allows nodes to process transactions more quickly, which gives Bitcoin Cash processing fees a fraction of what nodes charge to handle bitcoin transactions. However, it also means that Bitcoin Cash requires more processing power to handle the larger blocks. This has caused criticism of the cryptocurrency, as many miners worry that only big operations will be able to afford the computing power necessary to process on this network. Now for a word of warning. Because of their shared technical history, Bitcoin and Bitcoin Cash wallets share an address format and are what's called "cross-compatible." This means that the public keys for one work for the other, making it possible to send a BCH (Bitcoin Cash) token to a BTC (Bitcoin) wallet and vice versa. That is unfortunate. Be careful. Make sure that your purchase goes to the right wallet. Now, the designers behind Bitcoin Cash do know about this problem, and they've started to take care of it. Earlier this year they introduced the Cash Address Format, or "CashAddr." This is an address for your Bitcoin Cash tokens with a different format from legacy Bitcoin, built entirely so that users can tell the two currencies apart. A CashAddr is a little bit longer than a Bitcoin address and can start with the prefix "bitcoincash." While both the CashAddr format and the traditional Bitcoin Cash format will get your tokens where they want to go, it's better practice to use the new disambiguated address. To help with that, the Bitcoin Cash project put up an address converter right here. Despite its shared name and history, Bitcoin Cash is an entirely separate cryptocurrency from Bitcoin. It spends a little faster and costs a fraction of the price of its predecessor, but many in the blockchain community raise concerns about the stability of its model. Now that you know about Bitcoin and Bitcoin Cash, you can buy and sell both Bitcoin and Bitcoin Cash by signing up for free!